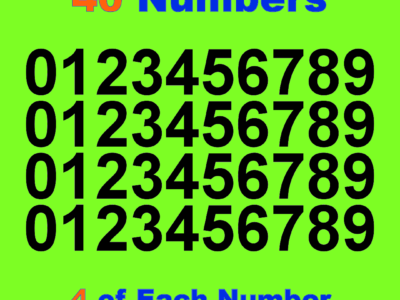 You can select 1 number, 2 numbers or 3 numbers. 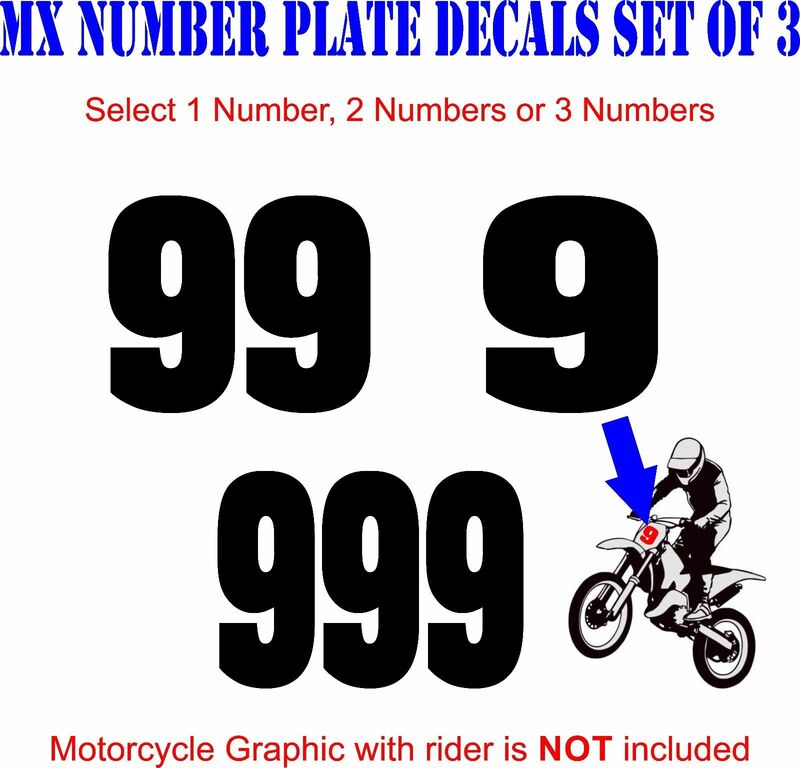 All the decals will be the SAME number & color no exceptions. 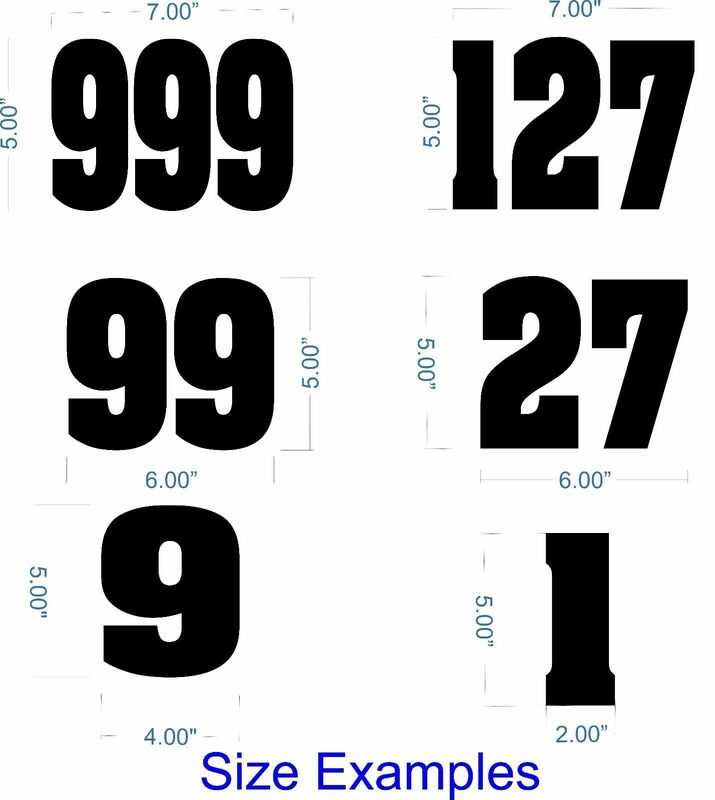 Size Width: Varies by number choice – See 2nd photo for example measurements. 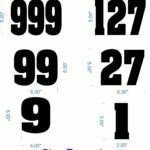 Generally 1 number will be 2-4″ wide, 2 numbers will always be 6″ wide and 3 numbers will always be 7″ wide. We custom adjust the font to fit your choice. 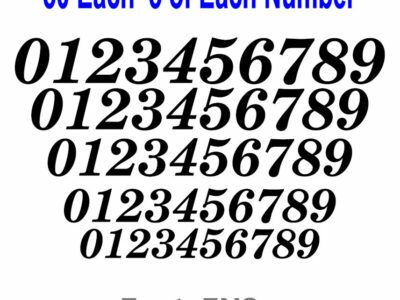 All numbers will be 5″ tall to the tallest number determined by the font. 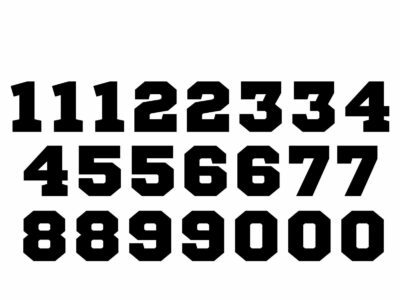 Number Selection: From the Drop Down Menu Select Number / Letter for each position. 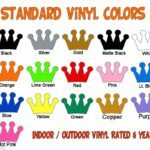 The background color is whatever you place the decal on, this is a precision cut vinyl decal. 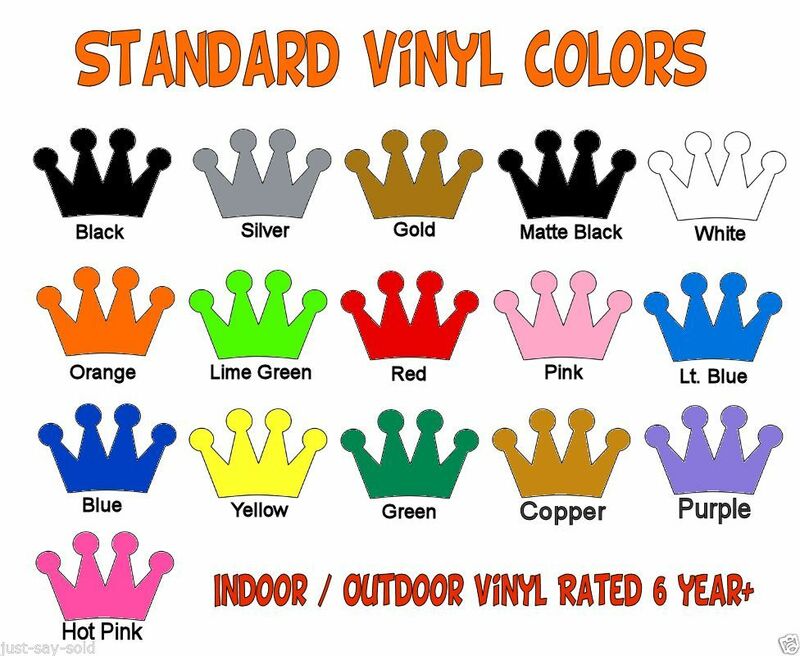 We use the highest quality vinyl’s the actual manufacture of the vinyl depends upon color choice.